Camelot has flowered and basks in a new Golden Age but at the same time destruction is being sown in the frozen wastelands of the North where men are disappearing without a trace. King Arthur and his knights ride out in search of answers undertaking a dangerous mission into the unknown. As the sun sets on the icy plains it is Merlin who finds himself trapped in a battle unlike any he has fought before: a battle with Fate itself. 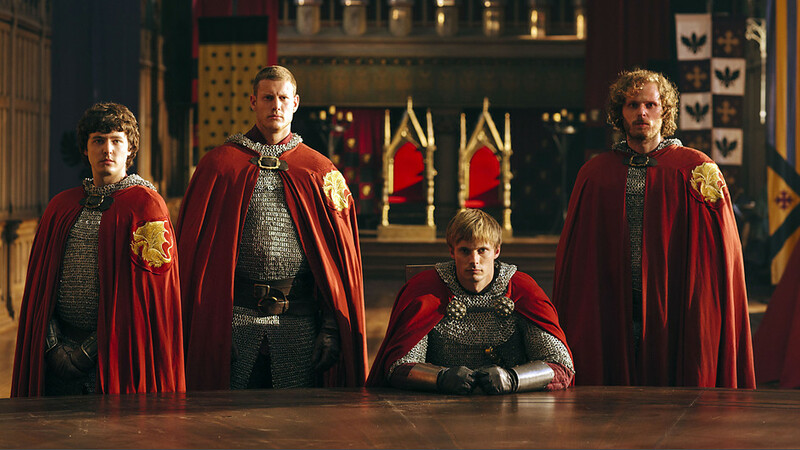 Merlin fears that the ancient prophecies about Mordred might come true as even he is not able to sway Arthur from his chosen path. Alone and close to exhaustion, Merlin and Arthur struggle to carry on as dawn breaks across the icy tundra. With each tortured step bringing them ever nearer to the looming fortress of Ismere, Merlin's fear intensifies. What are Mordred's real intentions? And what powerful secrets are Morgana and the druid Ruadan interested in finding amongst its twisted catacombs? It might be that this time not even Merlin can prevent Arthur from stepping right into the lion's den… for only one thing seems certain in such bleak and transient wilderness: the great trial for Albion has finally begun. King Arthur finds himself torn between head and heart when a stranger gives him the power to summon the dead. Unable to turn down such a tempting offer he seizes the opportunity to speak to the person that he misses the most: his father. However, the spirit world is dark and dangerous and such a decision will come to a terrible price. 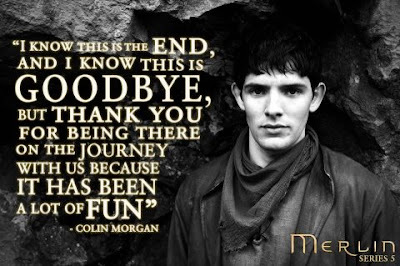 Defying all odds, it'll come to Merlin to put right Arthur's mistake before everything they have fought for and built together is forever destroyed. Morgana, together with Nemeth and King Odin, uses Princess Mithian as the perfect bait to lure Arthur to his death. 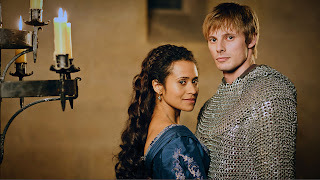 She manages to come up with a deception so effective that everyone in Camelot, Merlin included, is taken in. Will the young warlock be able to see through the trickery before it's too late? Or will Morgana finally satisfy her thirst for revenge? Three soothsayers cast a dark curse upon the King of Camelot in the black depths of an ancient pool. 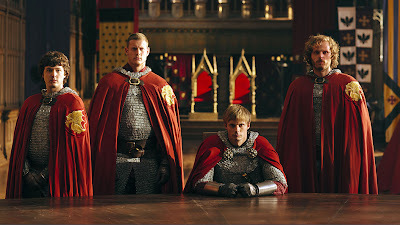 Contrary to Merlin's advice Arthur is stubborn and refuses to take the words of the Disir seriously and, as a result, Camelot is to pay the price of their fury. 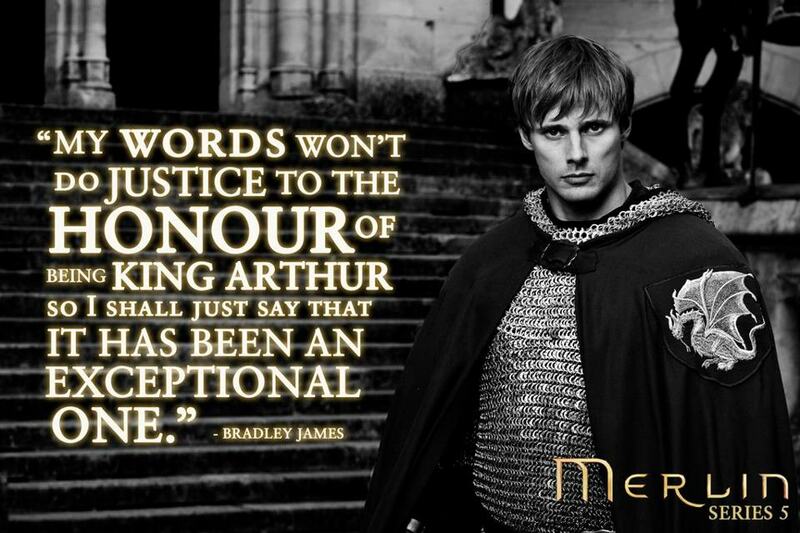 With the kingdom in peril, will Arthur be ready to make the greatest sacrifice to appease them? Faced with the King's hesitation, Merlin has just one chance to save him from his destiny, a decision that comes at the highest price. Following Gwen's disappearance from Camelot without a word, Merlin is certain that there can only be one person behind her kidnapping: Morgana. Arthur is determined to rescue his Queen; however, it'll be all but an easy task since she is locked in the Dark Tower, a place that haunts the dreams of men. King Arthur and his Knights embark themselves on a quest without equal: battling their way through a landscape filled with hidden dangers, deadly obstacles and magical beings. As they reach their destination, Merlin's sense of dread reaches its limit. What twisted plan has Morgana in mind? And more importantly, what is the final test that awaits them in the tower? Dark times threaten to find their way into the very heart of Camelot as Morgana and Queen Guinevere, still a puppet under the sorceress' grip, conceive a perverse plan to murder the King. However, when stable hand Tyr Seward becomes an unwilling player in their scheme, he might ruin their plans. Will a suspicious Merlin be able to discover the truth before it's too late? When Merlin decides to take a young Druid boy under his wing, he is forced to leave Camelot on a dangerous mission, trusting that no one will notice his absence since the citadel is distracted by the visit of the fearsome Sarrum of Amata. However, Merlin soon begins to suspect that there might be more to Daegal than meets the eye and realizes with horror that he might have made a terrible mistake for a man as ruthless as the Sarrum shouldn't ever be trusted. 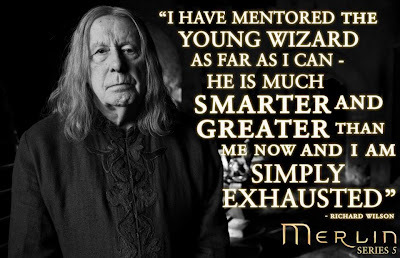 Will Merlin be able to set things right before it's too late? 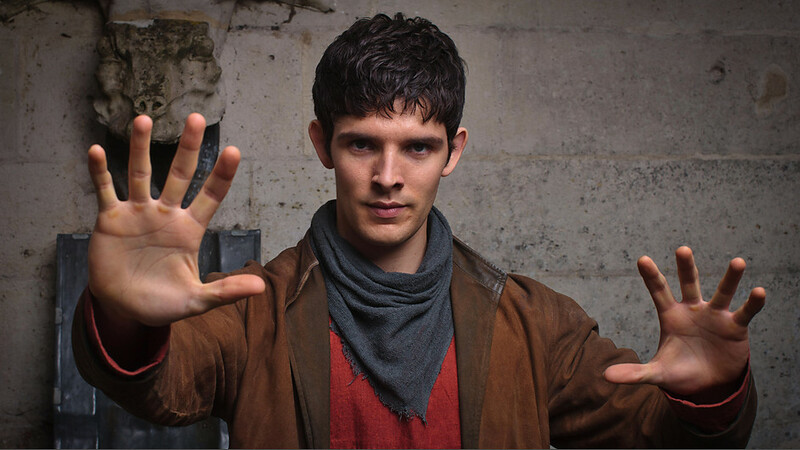 Merlin is certain that acting quickly is of the essence to free Gwen from Morgana's twisted control before it gets irremediably out of hand. 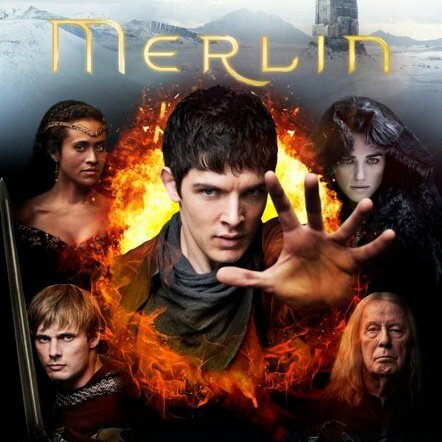 However, it won't be an easy task even for someone as powerful as Merlin since only the most powerful magic can save the Queen. With her grip on Camelot becoming tighter with every passing day, Morgana won't give up her puppet without a fight. Morgana, utterly convinced that Alator of the Catha is the key to knowing where to find Emrys, leads a terrifying manhunt in pursuit of her old foe. Merlin has never found himself in more danger. Is he to trust the mysterious Finna when she offers to help him or will he find himself cornered without escape? When Mordred falls in love he finds himself torn between acting on his feelings or remaining loyal to Camelot, but little he knows that his decision will shape the destiny of the kingdom. With the echoes of war sounding louder, Merlin despairs at the cruel circle of fate he feels trapped in: will he be able to make his dreams of Albion come true? Morgana prepares for war gathering a great horde high in the mountains. But she is not alone: a revenge thirsty Mordred stands at her side. The terrifying weight of his destiny rests on Merlin's shoulders heavier than ever before as the ancient prophecies unfold with uneasy accuracy. But before he can save Camelot, he must save himself for Morgana wishes to destroy Emrys along with his beloved kingdom. It seems that the prophecies did not lie and Merlin faces his destiny as the great battle rages on Camlann's mighty plain. Will he find the strength to save all that he holds dear: the man he made a King, the Camelot they fought to build and the brotherhood they shared? 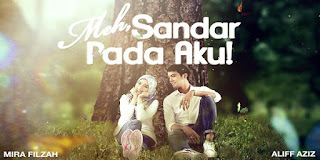 dah download sampai ep13.. last..
lepas ni dah takde lagi citer Merlin ke? Klik anak panah di sebelah perkataan admya untuk ke page sebelumnya. Update ep 19- Episode Akhir. Siapa yang jahat sebenarnya? Kenapa dengan Nur ni? Percaya sangat dengan Juita si hahat tu! 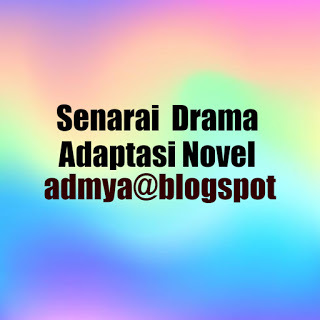 "Angkaran Percaya Tergadai Bahagia"
Drama adaptasi novel curi curi cinta akan datang April ini di channel Astro. 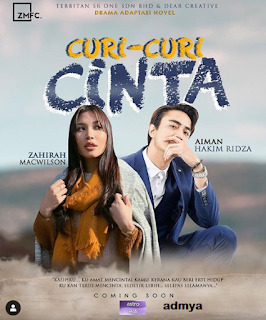 akan datang di astro megadrama. 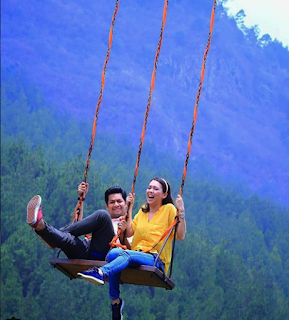 Tahun 2018 bakal melabuhkan tirainya... 2019 bakal menjelma..Apa drama menarik 2019? 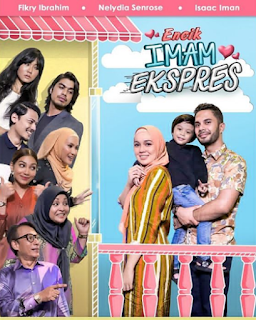 Berikut adalah senarai drama yang mesti korang tonton 2019.